HP will announce the fate of WebOS in the next two weeks, according to CEO Meg Whitman in an interview with French newspaper Le Figaro. Although Whitman didn’t hint one way or the other regarding the future of the OS, she did say that they have a team of roughly 600 people in limbo and they need to have another operating system. The operating system has been in a state of uncertainty ever since the company decided to discontinue their TouchPad tablet and slash prices to $99 in August. HP put the brakes on WebOS at that time, a move that baffled many. After all, HP acquired Palm for $1.2 billion in April 2010 and WebOS was seen as a key asset in the deal. On a related note, the company recently announced plans to release Windows 8 tablets once Microsoft launches their new operating system next year. One has to question if it would make sense for HP to support two different tablet platforms should they decide to keep WebOS. There was also talk during the summer that HP planned to dump its PC business, an unpopular suggestion made under the guidance of former CEO Leo Apotheker. 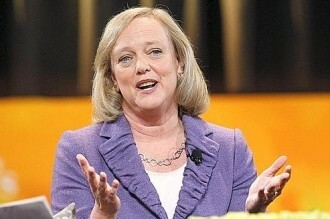 Apotheker was ousted in mid September and replaced by former eBay chief Meg Whitman. Whitman decided shortly after taking the reins that the company would retain their PC business, one of many tough decisions that the CEO has had to make early on.